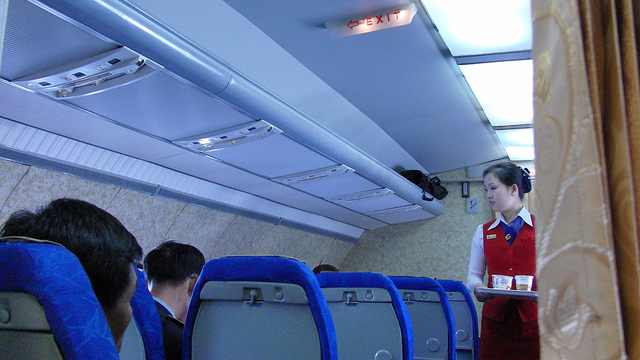 As comfortable as the air stewardess make you feel, long flights are often the most boring time of your life. Unlike studying or working which you can escape for a break, long flights can take up to a day or two depending on how far the places are. From Malaysia to the UK, my flight takes only 14 hours if I’m using Malaysia airlines but when I used Emirates during my first flight there, I had to travel approximately 27 hours due to the 10 hour transit I had at Dubai which was immensely tiring. 1) Don’t sleep the night before! The ultimate solution to making your time fly faster than you will ever notice. Before your flight, make you stay the whole night as that can make you tired enough to fall asleep almost immediately. If you’re afraid that you’ll miss your meal, you can always let the stewardess know before going to sleep. Some airlines like Emirates have got some sort of sticker which you can stick on top of your sit so when giving meals, the air stewardess can see from above and wake you up for the meal. Imagine waking up seeing a hot stewardess right in front of you! Caution – side effects may include thinking that you’re in heaven already. Have you ever sat too long that you could barely feel your leg anymore by the time you get up? One of the main health risks people tend to get when travelling is the deep-vein thrombosis. From what I learn from by Biology class, that is a dangerous life-threatening effect that we could get if we’re staying so long at a place for hours and hours and hours without even moving. This happens due to the blood clotting process that is happening within your leg’s veins because if you’re not moving blood is not pumped to your legs as much which is why we need to move our body every now and then. It is great if we can walk along the airplane every half an hour but if you can’t, doing minor stretches can be just as good. I personally like moving along and talking to the stewardess about their life, it can be very interesting! For some people, those are books but for some others, iPad games that you have been dying to finish! There are many amazing books today like “The Game of Thrones” by George R. R. Martin and “Heroes of Olympus” by Rick Riordan which many people have bought but just couldn’t find the right time to finish. Instead of sitting the whole day doing nothing, imagine how far you can read those books if you spent all those hours on it! Some people can read extremely fast that they can literally finish a thick 2000 pages book within a few hours. As for games, did you know that you can bring certain small electronic devices like iPad to use as long as you off the Wi-Fi? IPad and Android games are growing so popular today that there are just so many good games that will take you days to finish such as Final Fantasy and Zenonia. So before hopping on that plane, be sure to download all of those games that you wanted to play and of course don’t forget to bring your charger! There are many things you can do to kill time while on the plane but the main key to achieving that is to just simply focus on entertainment (If you’re not sleeping that is). Flights may be boring but you can make them fun by planning in advance and before you know it, you will start loving your time on the airplane and might even be a little sad when you’re touching down!